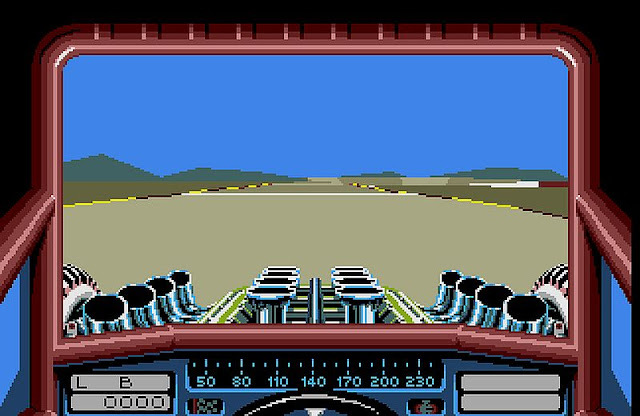 Indie Retro News: Stunt Car Racer - A brilliant game is being ported to the Atari Jaguar! Stunt Car Racer - A brilliant game is being ported to the Atari Jaguar! While many of you were overjoyed to hear that Stunt Car Racer from the C64 had been ported over to the Atari 8-bit, you probably didn't know that the Atari Jaguar was also getting in on the action! Yes that's right Stunt Car Racer is coming over to the Jaguar, but this time it's being ported from the Atari ST and is being coded by CyranoJ, who was inspired by the A8 version mentioned not long ago! Unlike the Atari 8bit version however this one is still at an early work in progress stage hence no audio, but when it's finished it will most likely have all the best bits from the Atari version, which includes the thrill of the speed, the ultimate track the "Ski Jump" and of course boosting into the sky and coming down with an almighty crash!